You’ve had a hard week of training and all you want to do is put your feet up. You just want to kick back, recover and get those anabolic processes laying down some new muscle cells. As you’re sat there relaxing, catching up on your favourite box set you start to fancy a drink. Should you have one? Could it hinder your gains? And could alcohol blunt your recover and depress your testosterone levels? 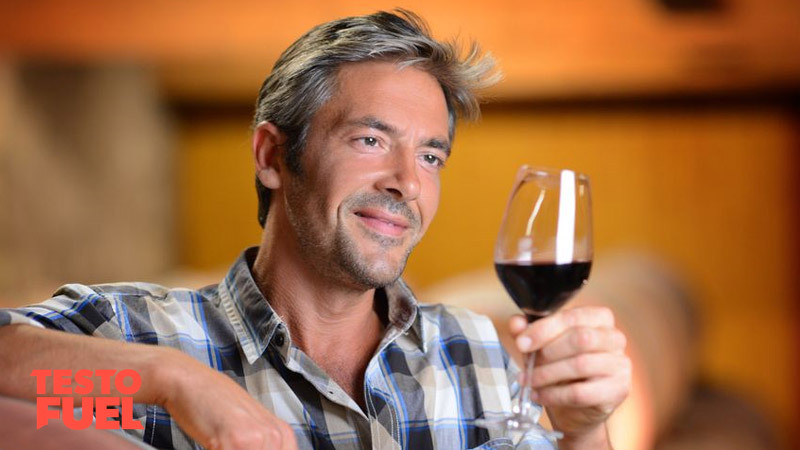 In this article we take a look at the relationship between alcohol and testosterone. Does ethanol blunt endurance and muscle building? Could alcohol promote testosterone after strength training? Alcohol is a potent depressant – it slows down your bodily functions. That’s why we feel relaxed after a drink or two. You’ll find the depressant in a range of drinks, from beer and wine to spirits and fruit punches. The compound that makes you feel intoxicated and inhibited is called ethanol. It is a chemical that is technically called ethyl alcohol. In large doses it is toxic to the human body. But in small doses it’s just enough to help you relax. And because your body doesn’t like it, it prioritises its metabolism over other nutrients such as carbs. It’s also high in calories too – one gram of ethanol provides your body with 7 kilocalories. That’s more than the 4 kilocalories you get from a gram of protein or carbs. It’s also only slightly lower than the 9 kilocalories you’ll get from a gram a fat. Although potentially toxic, light ethanol consumption might even be good for you. Small amounts of alcohol have been found to promote cardiovascular health, reduce the risk of dementia and even decrease symptoms of diabetes. And resveratrol, a natural phenol found in the skin of grapes and in red wine, could even boost testosterone. By as much as 50% in some cases . So the odd glass of red here and there certainly won’t hurt. But does that mean that more is better? Does chronic consumption of alcohol spell disaster for your androgens? In large doses, ethanol is a testicular toxin – it lowers your T levels. Not only that, it can lower your sperm count and lead to smaller-than-average testes as well. In the aptly titles journal Alcohol, researchers asked 8 healthy males to consume 1.75 g/kg body weight in ethanol – that’s a very large dose. It’ll definitely give you a headache the day after. The men were then monitored to see what happened to their hormones. Unsurprisingly, T was reduced right through to 12 hours post-drink. It remained lower than baseline up to 24-hours afterwards. Similar results were seen in this study too. Again, the volunteers had the difficult task of getting drunk for science. Well someone’s got to do it, right? And right from the moment that they became intoxicated through to the point where the alcohol had been fully metabolised, there was a very definite relationship between high blood ethanol and its effects on testosterone. As you imagine, it lowered it considerably. Key Point: High doses of alcohol will blunt your testosterone levels until it is fully metabolised. 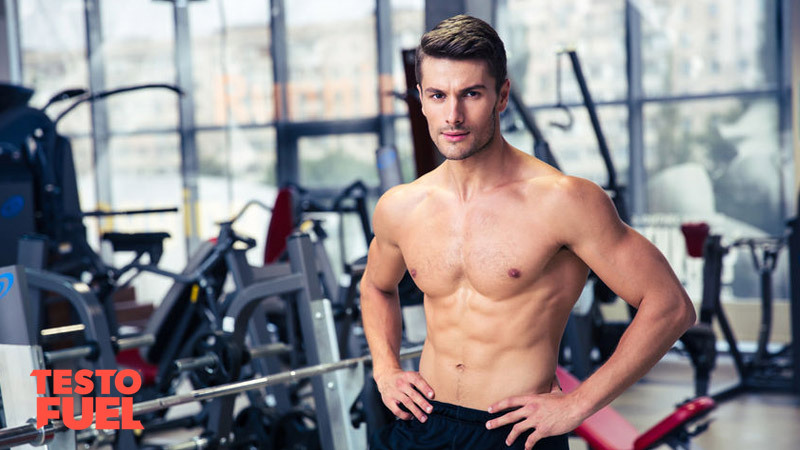 You smashed the gym and want to kick back and begin the recovery process. Is a stiff drink really that bad? Research from Medicine and Science in Sports Exercise  shows that ingesting 1.09 grams of grain ethanol per kilogram of lean mass boosts free androgens by 22.5 nmol.L as opposed to 13.9 n.mol.L in a placebo group. So is this an excuse to get slaughtered after your session in the gym? 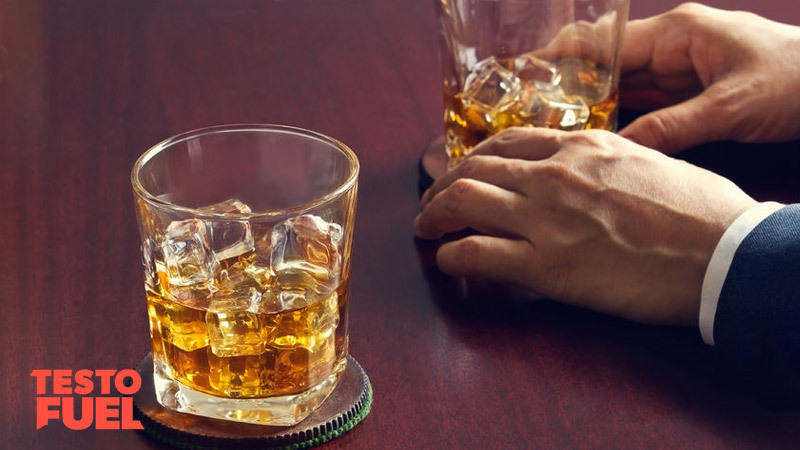 The main issue was that whilst there was an acute increase in T levels, the researchers hypothesised that the alcohol destroyed receptors that testosterone can attach itself to. This in turn led to elevated concentrations in the blood. And that’s not really a good thing. You’ve got to be careful how you interpret these findings. In the grand scheme of things there are much healthier alternatives that can help you recover much better than alcohol. Key Point: Drinking after hitting the weights may increase testosterone. Not only does chronic alcohol use have a negative impact on your T levels, it can affect physical performance too. 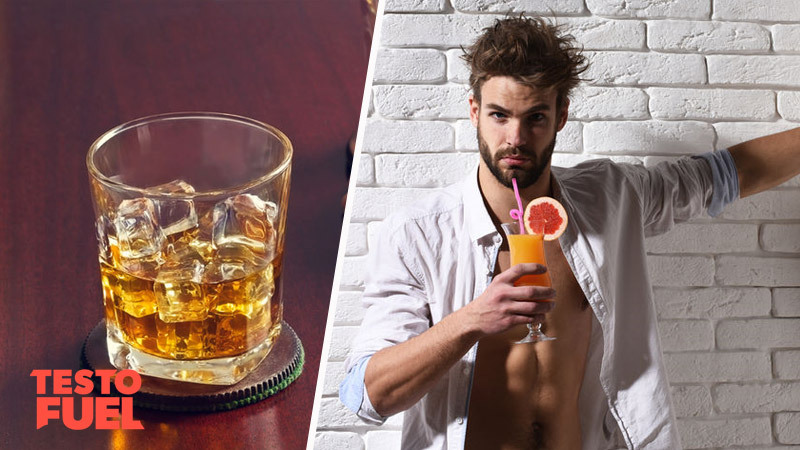 One thing you might not have considered is that drinking alcohol on a daily basis can effect everything from muscle growth to cardio endurance. Whether you are training to improve your endurance, or you’re wanting to add slabs of lean muscle, low glycogen re-synthesis is bad. Because your body prioritises the metabolism of ethanol over glycogen, it means you can’t shuttle carbs into your muscles as quick. This can lead to not only poor performance but poor recovery too. The result? Your endurance and conditioning will suffer. Ethanol has several mechanisms by which it will negatively effect protein synthesis – the way that your body creates new muscle cells. It firstly raises levels of the muscle inhibiting protein called myostatin. When levels of this marker are elevated you’ll find it near impossible to add muscle mass. Secondly, ethanol can slow down post-exercise inflammation. Whilst you might initially think that this is a good thing, inflammation is a potent trigger for a number of hormonal responses that promote growth. These include important muscle building pathways such as the mToR and IGF-1 responses. The result? No matter how hard you train, alcohol will blunt your muscle building potential. With all of those empty calories, added ingredients and ability to inhibit growth and recovery, alcohol is a sure-fire recipe for fat gain. Add in the sugars and fats from commercially available drinks and before you know if you’re hitting a big calories surplus – without much favourable nutrients to help keep you lean. The result? Fast fat gain. Key Point: Alcohol reduces nutrient uptake and inhibits muscle growth. It can also contribute towards obesity. Enjoying a drink every now and then is important to promote relaxation. But drink too regularly and you’re asking for trouble. Not only does ethanol have a dose-dependant relationship with lowered testosterone, it can decrease your endurance and blunt your muscle mass gains too. Does alcohol lower testosterone permanently? Is there estrogen in alcohol?